Grandma and Coffee Cakes go together like love and marriage — and these gourmet coffee cakes are no exception! But these cakes aren’t just for the grand kids. They’ve been enjoyed by guests in Buckingham palace, the White House, Camp David, The Ryder Cup, The Vatican, the All-Star game, the US Open, and at the Academy Awards. The Plaza Hotel Tea Room sold them for the last 12 years they were open for $8/slice and sold out every week. They are kosher certified (not Pareve non-dairy). under Orthodox supervision and contain no trans fats, artificial flavoring, artificial coloring, or preservatives. Choose your favorite flavor below. 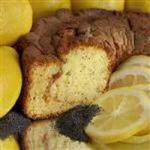 The cake remains fresh for 14 days from date of shipment when stored on the kitchen counter or in the refrigerator. Refrigeration does not add to the shelf life of the cake. 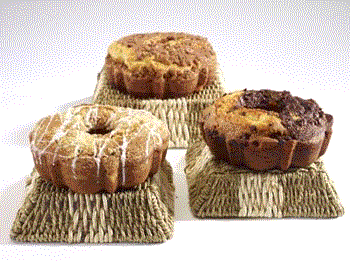 All cakes freeze beautifully for up to twelve months, either whole or sliced. The cake is best defrosted by opening the heavy duty freezer bag in which it was frozen and storing the cake at room temperature for a few hours. It will taste as fresh as just baked! Also, our cake is quite good when eaten cold, or even frozen - try it! The small cake measures approximately 8 inches across, weighs 1.75 pounds and serves 6 - 10 people. The large cake is approximately 10 inches across, weighs 3.1 pounds and serves 16 - 20 people. These coffee cakes ship from the bakery in Boston and cannot be hand delivered. SHIPPING NOTE: We use the shipping services of the UPS and UPS SurePost. United States Postal Service delivery times vary from one to four days and are shipped from Boston. Length of time in transit is dependent upon the destination zip code. We cannot guarantee exact arrival date and time of any package, although the cake is baked and shipped the day after we receive your order. We do not bake on Saturday or Sunday. The UPS and UPS SurePost shipping services do not guarantee on time delivery of any product during the high volume Thanksgiving and Christmas holiday seasons. Please consider this when planning your gift giving. 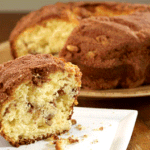 Did everyone grow up with memories of their grandmother's coffee cake? I certainly did, and I would look forward to visiting my grandmother, not only because she was a lovely woman, but because she was such a fabulous cook. 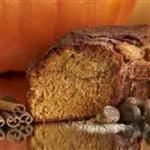 I remember her coffee cakes, the buttery rich,cinnamon infused coffee cake. My parents and aunts and uncles would all have coffee with this cake,many my sister and I would have milk. Those long ago memories survive everytime I think of this cake. 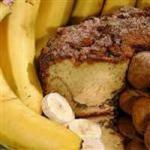 This cinnamon, walnut coffee cake is indeed delicious. It is moist and the cinnamon walnut flavor us there. 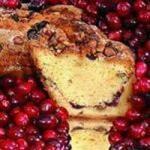 However, it is not as good as homemade, and homemade is easy to do I always add sourcream for a richness you cannot find in this cake. If you do not have the time or inclination, then by all means order this cake. 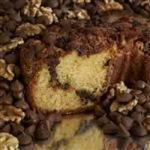 It is probably the best coffee cake you can find in the business. 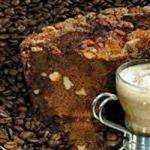 This is not your ordinary coffee cake. 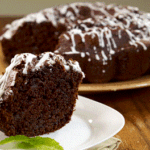 This is a moist, rich cake that surprised everyone who tried it when I set it out. They come back for more. I'm going to get more for the holidays. If you don't like things that are covered with frosting, try this flavorful cake. You will be surprised. As you can tell, I really like this coffee cake. 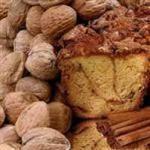 I order the cinnamon walnut. Yum ! I have purchased this item in the past. I intended it as one for home and one for a gift. Before I had a chance to take it over to my daughter, my husband had sliced into the second cake as well. The texture is moist and creamy. There is an undercurrent of butter. The cake had just the right amount of nuts and crumbles. 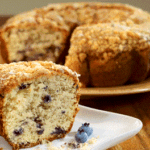 If you need a great hostess gift, or are just craving the exact right coffee cake, this cake is the one for you.